Should They Build a Boat? 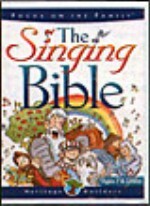 The Singing Bible is used as a resource with the preschool curriculum, Little Hands To Heaven. Check out the link below. Click on the links below to review related products.